Zhao Zhong (left) conducting an analysis of household trash to help stem waste flows into the ocean. He and our marine campaigner Nicole Portley were joined by Miko Alino of GAIA Philippines, Son Nguyen of partner NGO Greenhub (Hanoi), Hau Dang Cong and Nguyen Thi Dao from a tourism company in central Vietnam, and a dozen women from the local women's union. Zhao Zhong can determine any type of plastic simply by touching it. 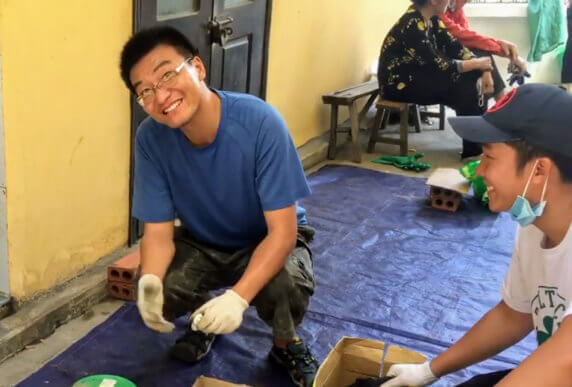 This extraordinary skill earned him the nickname “plastic whisperer” when he was sorting through plastic and other household trash in Ha Long City, Vietnam, last month to help us curb the tsunami of plastic trash choking our oceans. Zhao Zhong, a veteran of China’s environmental movement, and our marine campaigner Nicole Portley were joined by a dozen women from a local women’s union and several NGO and tourism company partners. For seven days, the team woke up around 6:30 am, collected the prior day’s waste from 60 households, sorted it into several dozen categories, measured its weight and volume, and identified the brands that contributed the largest amount of plastic trash. Our marine campaigner, Nicole Portley (left), collecting household waste with women from the local women’s union in Ha Long. 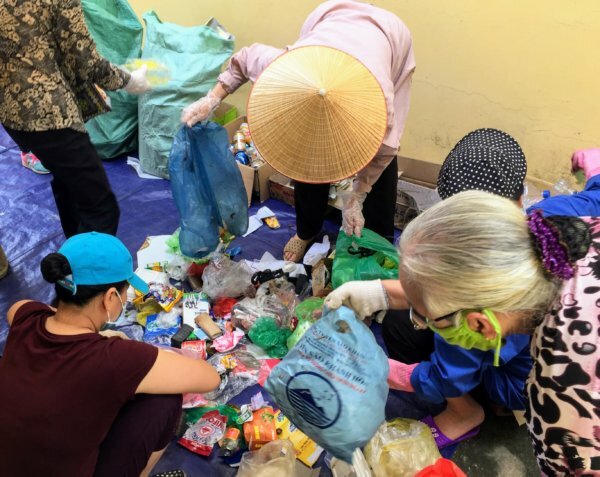 Conducting waste audits like this one is a critical step in Pacific Environment’s campaign to curb ocean plastic pollution by helping grassroots partners in Vietnam tackle the country’s mounting waste problem. Vietnam is among the world’s worst five ocean trash polluters. In addition to waste escaping into the ocean from leaky landfills, the country is producing so much trash, it cannot properly dispose of it. This has already led to public protests in some cities, with people taking to the streets to demand better waste management. 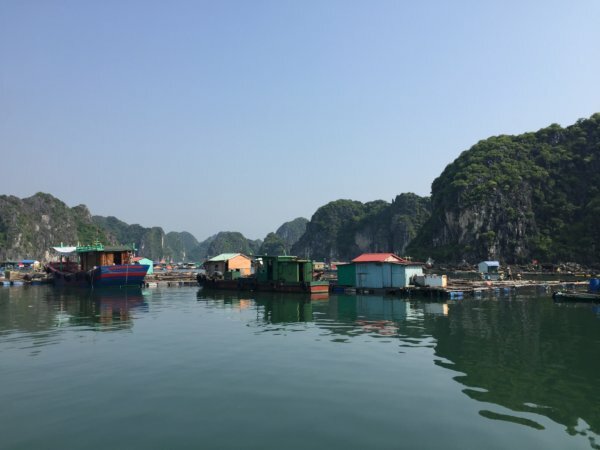 Ha Long City on the northeastern coast is known for its towering limestone pillars and handcrafted wooden boats floating in clear, blue-green water. Ha Long is one city facing such a crisis. As recently as last November, waste was piling up in the streets; it is now thrown onto a makeshift dumping site while city officials try to figure out next steps. 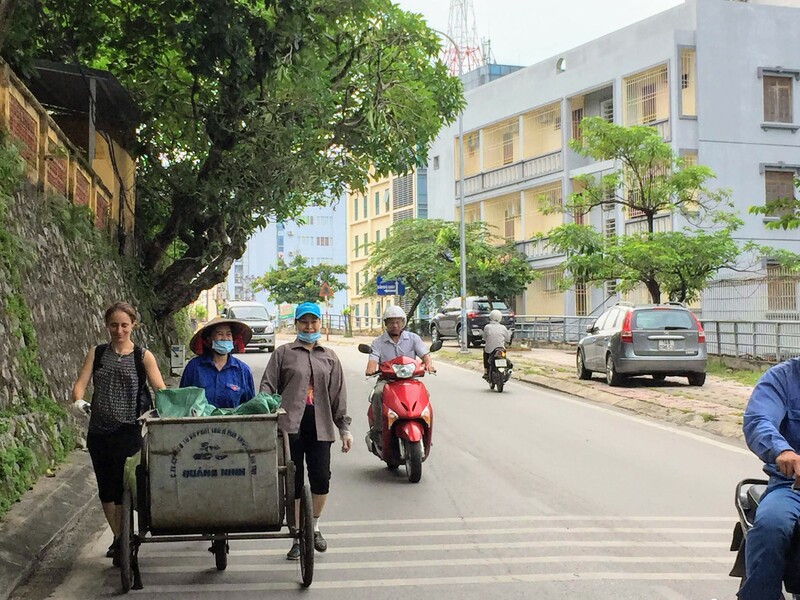 Our Vietnamese partners, including the local women’s union in Ha Long City, want to lead their cities toward a better solution, one that is cheaper, more practical, and more environmentally responsible: zero waste. This means gradually reducing the amount of waste, and especially plastics, that is going into landfills by following the “5 Rs”: refusing, reducing, reusing, recycling, and rotting (or composting). The household audit we and partners conducted yielded invaluable data on the types and amount of household waste in Ha Long City, which can be used to develop tailored solutions to better manage the city’s particular waste stream. On the last day, the audit team crunched the numbers and presented its preliminary findings to the local government. “We found that 62% of household waste was organic waste from kitchens and gardens, which could easily be composted rather than sent to a landfill. About 25% of the waste was recyclable, and only 13% truly needed to go to a landfill,” says Zhao. Encouragingly, the remaining 13% could be reduced further via product bans (like bans on plastic straws and plastic bags) and alternatives to single-use plastic packaging (this is plastic of such low quality that it cannot be recycled and thus most be thrown away). In Ha Long women’s unions rally residents to pick high-value recyclables out of their trash, sell them, and donate the proceeds to the union. But sorting through low-value and non-recyclable items was new ground for them. “They learned quickly and also had traditional knowledge for how to deal with the waste,” says Zhao. Stay tuned for more ocean trash news from Vietnam! In the coming months, we will support many additional local partners to audit local trash and develop tailored solutions that will transition their communities to zero waste.